This article examines the issue of when a State can be considered not to exercise jurisdiction under Article 1 of the European Convention on Human Rights in parts of its own territory. The starting point is that the notion of jurisdiction in the Convention is primarily territorial, and that a State is presumed to exercise jurisdiction throughout the entire territory. The presumption can be rebutted in exceptional circumstances. The author argues that this can happen only if the State is prevented from exercising authority and control in parts of the territory, and that the lack of authority and control must be caused by the influence of another State. Even if the State is considered to be in this position, the State retains a "reduced jurisdiction", and is under a positive obligation to take measures to protect the human rights of the population. The article examines the issue with particular reference to the Assanidze and Ilaşcu cases from the European Court of Human Rights, and illustrates the issue by reviewing briefly the current situation in four regions in the Caucasus. Especially relevant to the situation in e.g. the breakaway parts of Georgia. Separate opinions, both concurring and dissenting, have been a feature of judgments of the European Court of Human Rights since its earliest days, but detailed studies of their incidence and impact have until recently been sparse. This article, based on an AHRC-funded research study, offers a survey of the research literature and describes the outcome of its own consideration of such opinions. The use of separate opinions in the European Court of Human Rights is significant, but the incidence of sole dissents by national judges is very low. It would appear that the main determining factor in the writing of a separate opinion is judicial temperament. There is some evidence that the background of judges prior to their election to the Court has some influence on their approach to writing separate opinions. The Court, however, demonstrates high levels of collegiality and the use of separate opinions contributes to the transparency of its decision-making. 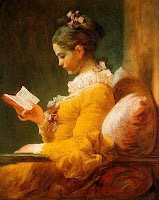 I also added two links two to of my own articles online, of 2006 and 2007 respectively (see in the sidebar under 'My research online'). As Latvia is struggling with a governmental and economic crisis, last week bad news also came from Strasbourg for the Baltic country: in the case of Andrejeva v. Latvia, the Grand Chamber found violations of Article 14 in conjunction with Article 1 Protocol 1 (16 votes to one) and of Article 6 ECHR (unanimously). 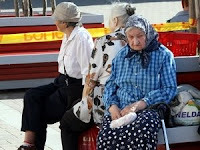 The case concerned the refusal of the Latvian state to pay the full pension of Ms Natalija Andrejeva, a so called permanently resident non-citizen belonging to the Russian minority in Latvia. She had worked in Latvia her entire life, but mostly so during the time of the Soviet Union's occupation of the country. It was for that Soviet period that the authorities refused to pay her pension, on account of the fact that she did not currently have Latvian citizenship. The Grand Chamber found that although the difference in treatment between Ms Andrejeva and Latvians in the same situation pursued the legitimate aim of protecting the country's economic system, it was not proportional. The Chamber amongst others considered that the applicant satisfied all other requirements except nationality and that Latvia was the only state with which she had stable legal ties and as such Latvia was the only state which could, on an objective basis, take the responsiblity for her in the context of social security. This can be considered as an important victory for the very large group of 'non-nationals' mostly ethnic Russians, in Latvia, whose position has often been assessed by Council of Europe monitoring bodies as needing improvement. The large sensitivity of the question for Latvians is eloquently reflected in the very lenghty partly dissenting opinion of the Latvian judge in Strasbourg, Ineta Ziemele. In no less than 19(!) pages she sets out why she does not agree with her other colleagues that there was a violation of the right to non-discrimination. Among others, she goes into matters such as state succession and the interpretation of the ECHR in the broader context of international law. The press release of the case can be found here. A public hearing in the case took place in June last year and can be watched here. Taking your claim to Strasbourg has now become even easier, that is, if the complaint is directed against either the Netherlands or Sweden. On a trial basis the Court has launched a service through which complaints against these countries can be filled in online. Prospectively, the method is both more user-friendly for applicants and easier for the already overburdened Court. When filling in the form, the first question is whether the complaint concerns an expulsion or a request for interim measures. When clicking yes, the reader is told that such requests cannot be performed thorugh this new tool, but need to be sent by fax. For all other complaints the tool can be used of course. The procedure does not entirely become an internet affair however, since a finalised application form still needs to be printed and signed and then sent to Strasbourg. It will be interesting to see whether the current set-up will lead to a disproportionate increase in Swedish and Dutch complaints. The Court has just posted an updated version of its short documentary 'The Conscience of Europe'. The film is meant for the general public, but I would also recommend it as a teaching tool in classes on introductions to human rights. It accessibly informs viewers about the Court's work. The documentary is available in English, French and German thusfar. Since it is of essential importance that people in other countries (and one specifically thinks of those from which so many applications come) know what the Court can and cannot do for them, it would be great if the Court could make it also avalaible in other language versions. Apart from the somewhat pompous title, the documentary is a good, short and clear "Bluff your way into the ECHR in fifteen minutes"! Today the Grand Chamber of the Court issued two judgments. The first was the Turkish case of Kozacioğlu in which the Grand Chamber unanimously found a violation of Article 1 of Protocol 1 ECHR (peaceful enjoyment of property). That cleared the skies of legal opaqueness, since the Chamber judgment (2007) in the same case had seen a heavily divided Court vote for a violation as well (four votes against three). The case concerned the expropropriation of a building with historical and cultural value. The core of the case was its monetary value, however. The applicant claimed that he had not been given sufficient compensation, since the building's historical value had not been taken into account as Turkish law forbade that such features would ever be taken into account to an original owner's benefit. The Grand Chamber held that such historical or cultural value, no matter how difficult to assess, should be taken into account to "a reasonable degree" (although that does not mean the full market value). Good times ahead for experts of historical monuments in this difficult economic crisis! The applicant in the case was awarded 75,000 euros for pecuniary damage (the same amount as the Chamber had originally awarded). 252. (...) In the aftermath of the al'Qaeda attacks on the United States of 11 September 2001, in a situation which the domestic courts and this Court have accepted was a public emergency threatening the life of the nation, the Government were under an obligation to protect the population of the United Kingdom from terrorist violence. The detention scheme in Part 4 of the 2001 Act was devised in good faith, as an attempt to reconcile the need to prevent the commission of acts of terrorism with the obligation under Article 3 of the Convention not to remove or deport any person to a country where he could face a real risk of ill-treatment (see paragraph 166 above). Although the Court, like the House of Lords, has found that the derogating measures were disproportionate, the core part of that finding was that the legislation was discriminatory in targeting non-nationals only. Moreover, following the House of Lords' judgment, the detention scheme under the 2001 Act was replaced by a system of control orders under the Prevention of Terrorism Act 2005. All the applicants in respect of whom the Court has found a violation of Article 5 § 1 became, immediately upon release in March 2005, the subject of control orders. It cannot therefore be assumed that, even if the violations in the present case had not occurred, the applicants would not have been subjected to some restriction on their liberty. 253. Against this background, the Court finds that the circumstances justify the making of an award substantially lower than that which it has had occasion to make in other cases of unlawful detention. Apart from this, the judgment contains almost too many aspects of value to mention: thoughts on of derogations from the Convention in times of emergency, on the fact that this kind of detention was not contrary to Article 3 ECHR, and on the possibilities under which such detainees could challenge the suspicions against them. Thus, although the scheme itself may have been abolished, the judgment is a bonanza of information on the topic of human rights protection in the context of the fight against terrorism. This week the Danish judge Peer Lorenzen was re-elected by his peers (what's in a name!) as president of one of the Court's fifth section. Judge Lorenzen has been around for a long time inm Strasbourg; previously, he served in the European Commission of Human Rights (1995-1999) and ever since the new fulltime European Court was established in 1998 he has been a judge in it. The press release can be found here. Allow me to point your attention to the International Courts Data site, made by Erik Voeten of Georgetown University. A portal of information on international and regional courts from a political sciences perspective. 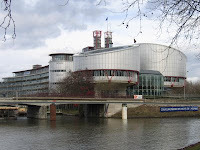 The site has a special page devoted to the European Court of Human Rights. It includes data sets on dissenting opinions, biographical characteristics of the Strasbourg judges, and other statistical information on cases. Well worth a visit! Two of my former colleagues, Tom Barkhuysen and Michiel van Emmerik of Leiden University, have just made available online their contribution to the book: Huls, Adams & Bomhoff (eds. ), The Legitimacy of Highest Court Rulings (TMC Asser Press, the Hague 2009). Their contribution specifically deals with the procedural aspects of the ECHR judicial machinery: 'Legitimacy of European Court of Human Rights Judgments: Procedural Aspects'. The book also contains a host of other ECHR-related contributions. For the table of contents, click here. Well worth reading! For a comment on press coverage and the relationship to ongoing trials, see this article by professor Martin Kuijer. Yesterday, the Court issued its judgment in the case of Women on Waves and others v. Portugal and found a violation of Article 10 ECHR (freedom fo expression). The applicants were three NGOs: a Dutch one (owning a boat on which they used to give information courses concerning reproductive rights and abortion) and two Portuguese ones. In 2004 Women on Waves planned meetings on its ship in a Portuguese port for interested women, but the Portuguese authorities refused entry to the ship and blocked it by way of a war ship. At the time abortion in Portugal was not allowed and the authorities indicated that they thought the Women on Waves ship would give Portuguese women access to forbidden abortion procedures and medicines. The European Court held the interference to be disproportionate. It noted that nothing indicated that the NGOs had wanted to administer abortion medicines. The aim rather was to inform people. The Strasbourg judges re-emphasized that not only the content but also the form in which information is conveyed are protected by the European Convention. Thus although meetings on land were held in Portugal eventually, the preference of the NGOs to hold the sessions on the ship as they had always done should have been respected. It also noted that the use of a war vessel to stop the ship in itself may have a chilling effect. For those familiar with the Court's case law it is interesting to see that the Court referred multiple times to its classic case on abortion information, the 1992 Open Door and Dublin Well Woman judgment, in which a violation of Article 10 ECHR was also found. How much has changed in 17 years: this time the judgment was unanimous, whereas the 1992 case counted a staggering 18 pages of concurring, separate and dissenting opinions! The judgment itself is available only in French at the moment, but a press release in English may be found here. As the Women on Waves' own press release indicates, following a 2007 referendum, abortion is now legal in Portugal. As announced, the Court formally opened its judicial year last Friday - a very special occasion, since the Court exists fifty years. 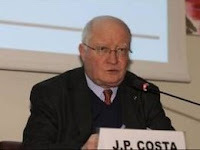 Thus, it provided the oppportunity for the Court's president, Jean-Paul Costa, to look back in his speech at what the Court has achieved in those five decades. Of even greater interest are his remarks on the future. To keep the ship of the court afloat - and this has become a familiar theme - reform is needed. With the reform Protocol 14 to the ECHR stranded in the Russian Duma until now (Russia being the last state whose ratification is needed) and the Report of the Wise Persons also partially in the air as a result, creative solutions are necessary. Thusfar (judicial) diplomacy has not seemed to yield results concerning the Russian stance. Thus the Court has come up with the idea - and this is what Costa announced in his speech - that in the first half of 2010 it would be good to have a major conference to "pump new life into this fifty-year-old by offering it a cure of youthfulness". The president indicated that such a conference could only have an impact if senior political figures would participate. Maybe the hope is that a gathering of heads of government or state or foreign ministers would engender a new esprit de corps in order to convince Russia to come along and to induce some countries with large amounts of violations to take both the prevention and the cure seriously on the national level. Let's sincerely hope that it will work! In the meantime the Court is working in its daily practice to keep things going. Costa indicated that we can expect more prioritising of important and serious cases, more pilot judgments (! ), and a push for more friendly settlements. The president also appealed to national lawyers to avoid futile or hopeless applications. I must say that I admire the sense of continuing pragmatism and forward-looking attitude of the president and all those working at the Court. Alhough there are many reasons to be pessimistic, they have continuously adopted a pragmatic stance vis-à-vis the many problems. For those who want to watch a recording of the whole ceremony on webcast, take a look here.